We are looking into using SharePoint 2010 to replace our external website. We think we can use Foundation for this and just hack up the SharePoint CSS to make it look like want but it seems the information on this is lacking. Has anyone done this successfully and can you point me in the direction of some documentation on how to do it? 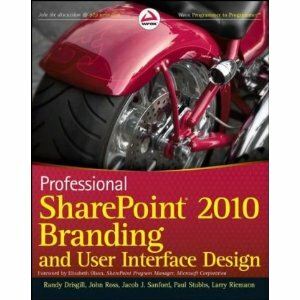 If you can spend around $35, consider buying the book Professional SharePoint 2010 Branding and User Interface Design. I am in the middle of reading it - it deals with the problem in a very detailed way and describes both simple (themes; SharePoint Designer) and advanced (CSS, page layouts. master pages) branding techniques. Keep in mind that you can't enable the Publishing features with SharePoint Fondation... Standard or Enterprise editions are required. You can still play with CSS and master pages, but won't have access to the Page Layout and CMS type features. Not the answer you're looking for? Browse other questions tagged sharepoint website cms or ask your own question. Can you use SBS 2011 Sharepoint Foundation to collaborate with external users? SharePoint 2010 admin and service account requirements?